When I see the breakdown starting; the clenched fists, the low growl, the slanted eyes, my first reaction is start figuring out exactly what happened to trigger her. Sometimes I have to know. We were having such a nice time, and boom. But through the past two years of dealing with emotional disorders in my child I have learned that sometimes it’s best to ignore it. Ignoring is a controversial topic and I’m not here to change your mind about it necessarily, but there are pros to learning when to meddle and when to let be. Last night we had a tantrum starting. It was late, close to bedtime, and she wanted to watch a movie. Of course she knew it wasn’t going to happen but as soon as I start explaining why she fell to the floor, kicked her legs, and yelled at me “no, no, no, movie”. She did this lovely little regression she does when she’s not getting her way. She’s five now, so this kind of behavior is getting to be not age appropriate. I started trying to talk over her but decided to use the ignore tactic instead. It may or may not have helped there were other people there at the time. My husband and mother were both standing, watching her little body flare on the floor. I hugged her and told her how great of a job she did calming herself down and gave her a snack. unwanted. I do think this would be the case if that child is ignored daily or if the child is too young to understand. If you aren’t listening to their stories and questions, and then ignoring them AGAIN when they’re having a breakdown, yeah they’re going to feel like they just can’t do anything right. However, there is such a thing as negative attention. I know, *gasp* this is life altering, but in an age of helicopter parenting and children not being capable of ever doing wrong, it bothers me that this is overlooked. I also feel that a one year old having a breakdown and a five year old are two very different things. Look at the age appropriateness of your child’s behavior and don’t ever leave an infant or toddler alone. You won’t lose your sh*t- you shouldn’t yell at a toddler or child having a tantrum. I do think “monkey see, monkey do” is a thing. They see you yelling at them yelling, then they in turn need to yell at you, because they’re yelling, and it’s just so loud. Losing your cool is going to happen but in the case of a mini meltdown, just say “we’ll talk when you’re ready, I’m right over here” and walk away. No yelling, no threats. End the need for negative attention- once your child realizes ‘hey, mommy isn’t going to sit here and stare at me and give me what I want’, they will stop. Resist the urge to over explain- if you ignore the tantrum then you are not as tempted to sit there and try to have a reasonable conversation with them while they can’t even comprehend their own feelings. Talking it out only works AFTER the tantrum has subsided. 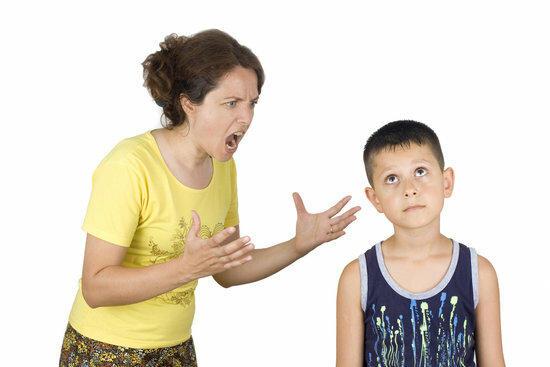 Teaches appropriate responses- when your child starts to realize that they get nothing when they lash out but conversation and better end results when they communicate, they will try to communicate more effectively. Just keep in mind again the age appropriateness of what you are expecting your child to say/do. “That is not how we behave” is pretty much the staple explanation to tantrums in my house. Self soothing- again there’s mixed feelings out there but I think self soothing is a HUGE plus for children to learn. I don’t have someone around all the time to hug or hit or yell at or talk to or whatever I may need at that time. You have to learn that sometimes you have to soothe yourself. Children with emotional needs even more so. It’s not cute or funny- one recommendation that drives me bonkers is to use humor to diffuse the tantrum. I love humor, we use it a lot, but how is that teaching the child to deal with their feelings? “Hey I know you’re angry and sad but let’s just forget that for minute and look at this funny face I’m making ahhhh so great okay let’s go play”. Um, what? That’s not a great life lesson and I don’t want my kid throwing a fit every time they want play and be funny with me. Just you know, say so. AGAIN, you know your child and you know what is a sad cry, angry cry, frustrated cry, and “I just can’t believe you aren’t giving my ice cream for dinner” cry. You can decipher better than anyone else when these tactics should be used. I would use more support and physical contact when the tantrum seems uncontrollable and the child really needs your guidance. I am talking from dealing with emotional disorders but obviously all children can benefit from knowing what to do and when. The best way to ignore it in my opinion, is to stay close but act like it doesn’t phase you that your child sounds possessed. Start cleaning or straightening up the room next to him/her. Check on them, make sure they aren’t escalating. But don’t give in to the demand. That’s the biggest part of this whole scenario. Make sure they understand that you love them dearly, but reacting that way is harmful and hurtful and most all not effective.